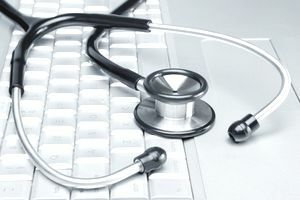 Based in Madison, WI, this health information management company offers medical coding and transcription services to its clients in the healthcare industry. Most of its 600 employees who do this coding/transcription work do it from home. The company offers medical transcription jobs and medical coding jobs as well as positions for clinical data abstractors and QA specialists--all of which can be done from a home office. Benefits include health, dental, vision and life insurance, paid time off, career-related education reimbursement and a 401k plan. Requirements that successful applicants must meet are a minimum of two years of recent full-time, multi-specialty transcribing experience in acute care in a hospital setting care. Experience working at home is a plus. Transcriptionists must provide their own computer, foot pedal and headset, which must meet specific requirements, as well as have an Internet connection of a certain speed. Application process includes an online assessment that can take up to two hours to complete. Coders in the U.S. must have certification, such as CCS or CCS-P and/or CPC or CPC-H, RHIT and RHIA, as well as one year of coding experience. Application process is online. Though application is free, it is on the same page as training opportunities that do have fees. Choose "Coding Application" and there should be no fee. These AHIMA- or AAPC-certified coding professionals review the work of other coders, provide education to coders and do coding work as required. Three years of coding experience is required. Application is by emailing your resume. These employees review and perform abstraction of NSQIP registry data from clients’ medical records SCR Certification, ASC SCR training, six months of recent/current experience in NSQIP SCR review/abstraction are required. College degree is preferred. All the positions require that the applicant be eligilbe to work in the United States without sponsorship. Go to the Amphion Careers page and choose the job you are interested in on the tabs. Transcription and coding jobs have online applications. What's It Like to Work for Birch Creek? What Work-at-Home Opportunities Does Scribie Offer? What Type of Work-at-Home Opportunities Does Rosetta Stone Offer? What Type of Work-at-Home Jobs Does Health Provider Humana Offer?